Memorial Day is barely in the rearview mirror but the whole summer is still to come. As the season progresses, the sun is going to grow closer, then warmer and more powerful as a result. 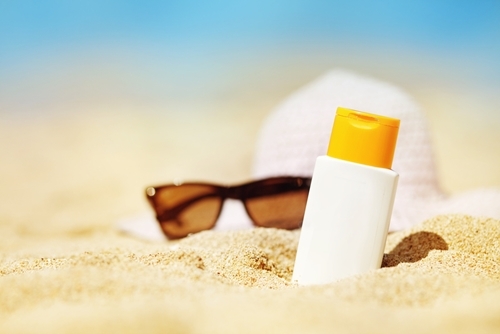 May 27 marked Sunscreen Day, an unofficial holiday that celebrates sun safety. As customers get ready for vacations, day trips to the beach and outdoor sports, they will appreciate sun safety tips along with custom promotional products that will keep their skin pain-free and protect against skin cancer. Applying sunscreen regularly can define whether someone goes home from the beach with a blistering burn or pain-free. Sunscreen should be used every day during the summer, even if someone isn’t planning on spending a significant amount of time outside. This is because UV rays can penetrate windows, including car windshields. Sunscreen should be applied 30 minutes before going outside, then reapplied every two hours after. Make sure customers remember that their ears, scalps and the tops of their feet need sunscreen as well. These areas are often overlooked! The U.S. Food and Drug Administration recommends using a sunscreen product with a minimum of SPF 15, like the 1 Oz. Customizable Sunscreen Lotion or 1.5 Oz. Promotional Sport Sunscreen with Carabiner for the more active client base. There are also Promotional Sunscreen Lotion Pocket Packs and Personalized Sunscreen Packets. Those products are available in SPF 30 as well. It’s also paramount that people use lip balm with SPF during the summer. Lips don’t have any melanin, the component that gives skin pigment, so they are very vulnerable to sunburn. Consider putting a custom slogan on an Easy-Twist Lip Balm (SPF-23) or Flavor Burst Promotional Lip Balm in SPF 15. Some people like using umbrellas to create their own shade on a sunny day. Put the brand on a Sport Golf Umbrella or a Compact Umbrella with LED Flashlight Swivel Handle that will catch eyes everywhere the customer goes. There is an increasing emphasis placed on the use of protective clothing when spending time outside. It’s recommended that people completely cover their arms and legs with tightly woven but loose-fitting clothing. A hat with a large brim that shades the face, eyes, ears and neck is a great addition to sun safety as well. Sunglasses should have 100 percent UVA and UVB protection, a factoid that can be shared with a Custom Sun Survival Kit. The combo pack includes a sunglasses case, lens cleaning cloth, bottle of sunscreen and packet of aloe vera gel. Because these items are based on fun in the sun, try to create contests that focus on summertime outdoor activities. These can either be conducted using the company’s social media platforms or with in-person submissions. Consider “best of” competitions, such as best sunrise picture, best sunset picture and best beach photo. Another category for contests is “the most” photos. For example, customers may compete to fit the most people on a pool raft or eat the most watermelon slices, depending on how the business lays out guidelines. Additionally, it may be fun to ask customers to write sun safety slogans that will be posted on the website to keep with the sunscreen theme. Consider offering these products on a limited-time basis to new clients and customers during the summer. Advertise the deal on social media so people know that they have to take advantage before the season ends. This is one way to boost mid-year sales so the business transitions to the fall on a solid foundation.